The Oregon Folklife Network seeks to hire one or two emerging/early career folklorists (1-3 years’ experience in public folklore or with non-degree focused folklife fieldwork) to work in collaboration with veteran folklorists Nancy Nusz and Douglas Manger during the month of November 2016. Folklorists will conduct folklife field surveys and documentation of cultural, occupational, regional, and religious traditions in the Portland Metro counties of Washington, Multnomah, Yamhill, Columbia, and Clackamas (fieldwork regions will be divvied up based on the experience and backgrounds of those selected). OFN Executive Director, Riki Saltzman, will supervise this project and veteran folklorists Nancy Nusz and Douglas Manger will mentor the emerging folklorists during fieldwork. This project is supported in part by a grant from the National Endowment for the Arts, Art Works. 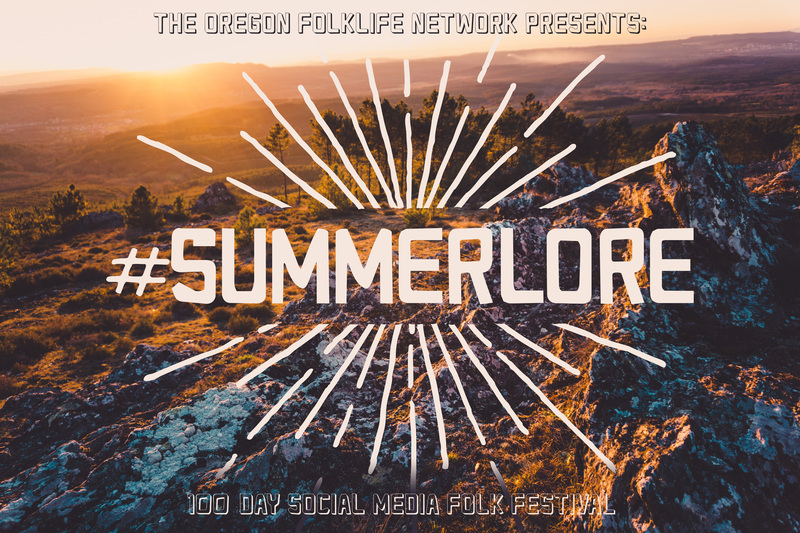 This summer, the OFN invites you to join us for a social media folk festival! We all have summer traditions that we repeat every year to make the season great – favorite camping spots, July 4th celebrations, special family outings, or tried and true ways to keep cool. 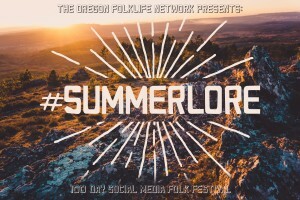 As you enjoy these activities all summer long, tell us about them using the hashtag #summerlore. For each post you tag on Twitter or Instagram, you’ll be entered into a raffle for an awesome swag bag! Here’s some ideas to get you started! Music festival fan? Tell us what you do to get ready for the festival! Have a favorite summer recipe you make every year? Let us know how to make it! Have a great way to entertain the kids at home from school? Share it with us! 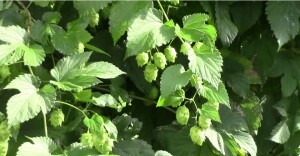 Hoplore: Hop Culture in Oregon, OFN’s newest exhibit, traces over 150 years of hops cultivation in Oregon through worker profiles, farm tools, historical photographs, and a short documentary. 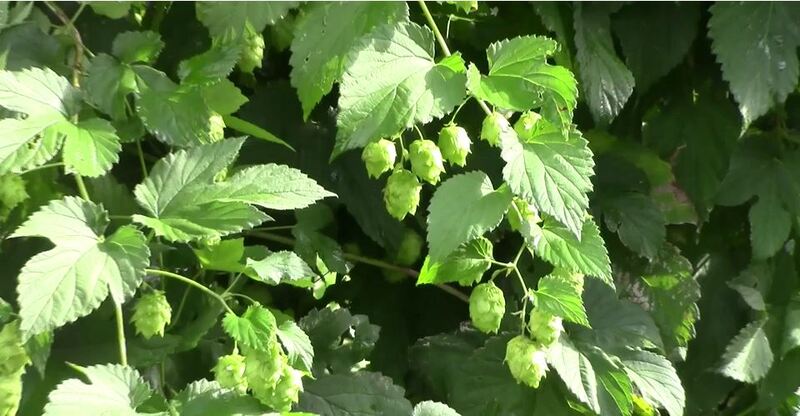 While Oregon’s heritage hop yards are 3rd and 4th-generation family businesses, small hop farms are enjoying a renaissance throughout the Willamette Valley, revitalizing and re-envisioning hop cultivation and its traditional practices. Beginning in this spring, the Oregon Folklife Network started year three of our multi-year Statewide Folklife Survey, this time in the Eastern Oregon counties of Union, Wallowa, Baker, Grant, Wheeler, Crook and Deschutes. As part of this work, UO Folklore graduate students and OFN staff joined our contract folklorists, Douglas Manger and Joe O’Connell, to observe and apply best ethnographic practices. As a side benefit, they get to experience some of the wonders of Oregon and meet great traditional artists. This project is funded in part by the National Endowment for the Arts, Art Works as well as by the Oregon Historical Society and the University of Oregon. Click the links below to read reflections on those fieldwork experiences in Eastern Oregon. During 2015-16, year two of our Statewide Folklife Survey, OFN contract folklorists Nancy Nusz and Debbie Fant traveled all over the Columbia River Gorge counties of Hood River, Wasco, Sherman, Gilliam, Jefferson, Morrow, and Umatilla as well as to the Confederated Tribes of Warms Springs and the Confederated Tribes of Umatilla to learn about the diverse cultural traditions of this region. Both also presented the results of their fieldwork at various sites in those counties. This project was funded in part by the National Endowment for the Arts, Art Works as well as by the Oregon Historical Society and the University of Oregon. Click on each story head line below to read just a bit of what they learned. Many of the culture keepers they documented are or will soon be part of the Oregon Culture Keepers Roster. The National Endowment for the Arts Chairman Jane Chu has approved more than $82 million to fund local arts projects and partnerships in the NEA’s second major funding announcement for fiscal year 2016. 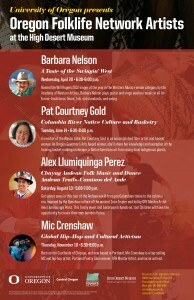 Included in this announcement are several awards for the Oregon Folklife Network and its partners. First, a $55,000 Art Works award to the OFN to extend our Statewide Folklife Survey to the Portland Metro area. Second, a $50,000 Partnership grant to the OFN to continue the Traditional Arts Apprenticeship Program and the Technical Assistance Collaboration awards, and a $45,000 Art Works award to our partner, the Four Rivers Cultural Center (Ontario, Oregon) to hire a part-time Staff Folklorist to extend OFN’s cultural programming to Eastern Oregon. 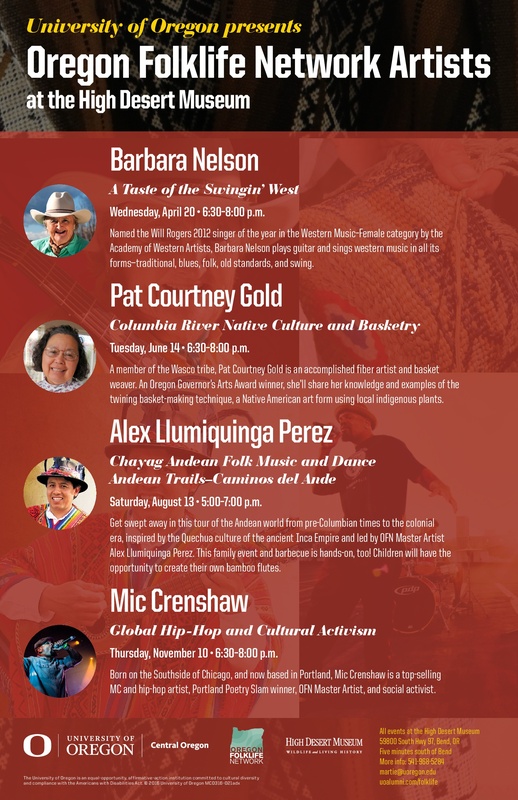 The University of Oregon Central Oregon is proudly sponsoring a four-part series of performances by Oregon Folklife Network artists. The series is hosted by the High Desert Museum and sponsored by UO departments Academic Extension, University Advancement, UO Alumni Association, and Central Oregon Ducks. One of the most wonderful—and humbling—things about being a public folklorist is the opportunity to explore and document other peoples’ lives. 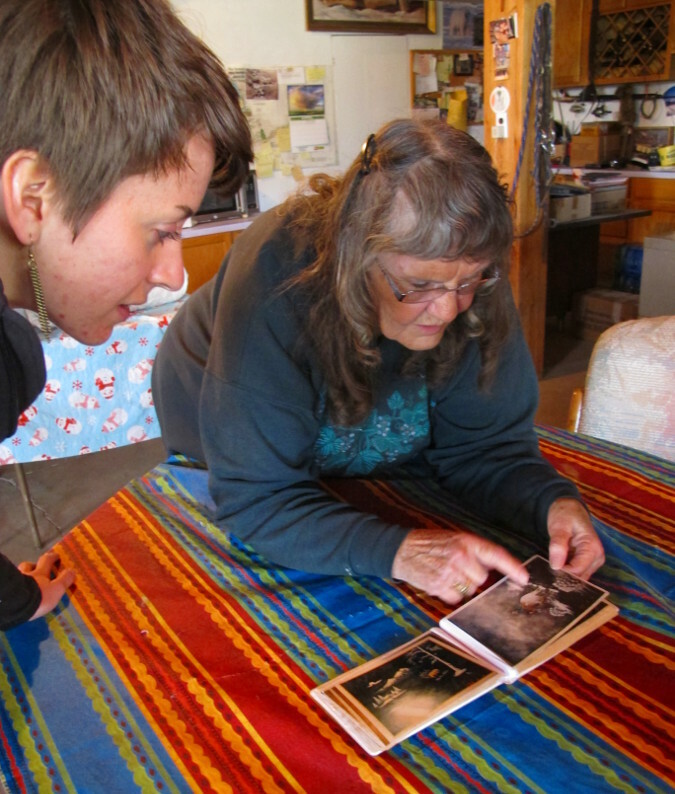 From September 2014 through September 2015, I was lucky enough to do folklore fieldwork for the Oregon Folklife Network in Morrow and Umatilla counties, where I met and interviewed amazing people—people who were generous with their time and with their stories. I encountered keepers of tradition who didn’t think what they did was anything special. So it was an honor to be able to share those stories with a wider audience in Heppner and later in Pendleton. But sharing with a wider audience—through the internet, through photos, through exhibits—is different from bringing the stories back to the people who originally told them. 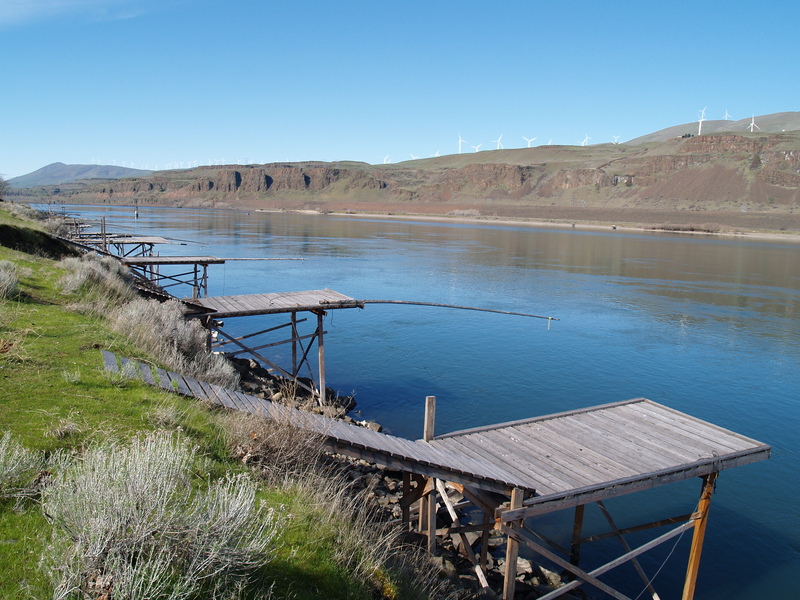 Native American fishing platforms on the Columbia River below the John Day Dam. From the first inhabitants to its most recent migrants, the Columbia River and its many tributaries have always provided a source of livelihood, transportation, recreation, cultural practices, creativity, and much more. A look at the folklife of the people living in the region provides a snapshot of the diversity of cultures residing there today. 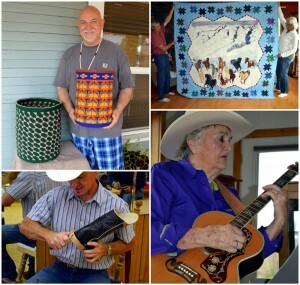 The five counties of north central Oregon (Hood River, Wasco, Sherman, Gilliam and Jefferson) are alive with music, crafts, occupations, foodways, practices, stories, and beliefs that have been passed down from one person to the next over generations. The people practicing these traditions are living links between the past and the present and knowing some of them can enrich all our lives. Riki Saltzman, Josh Ehlers, and Vanessa Cutz joined folklorist Joseph O’Connell in his survey of Wheeler County over the first weekend of May. We drove through the Ochoco National Forest to get to Mitchell, a small town along Highway 26 that once thrived through the logging industry. While the town now sits quietly amidst the rim rock, juniper, and sagebrush, it anticipates a potential tourist boom now that Travel Oregon has named the nearby Painted Hills one of the Seven Wonders of Oregon.